A bachelor party at Baby Dolls is a fabulous way to send your brother or best friend down the aisle and into adulthood. For many an unfortunate man, it’s the last chance they will ever get to let it all hang loose, so it is an opportunity you don’t want to mess up. Unless you really don’t like your friend, don’t schedule the party for the night before the wedding. No bride wants her beloved to show up to the wedding drunk, hungover or covered in someone else’s lipstick. It is always advisable to schedule a bachelor party for a few days to a week before the execution is scheduled to take place. It’s a great idea to ask about and know the groom’s desires before going to our Dallas gentlemen’s club or Fort Worth gentlemen’s club. Whether school girl outfits or a strip tease from a sultry redhead turn your buddy on, probing to get this information can help you make your buddy’s fantasies come true on his last night of freedom. It’s invaluable information you can share with the club when you make the reservation so that we can do our part to bring his dreams to life. 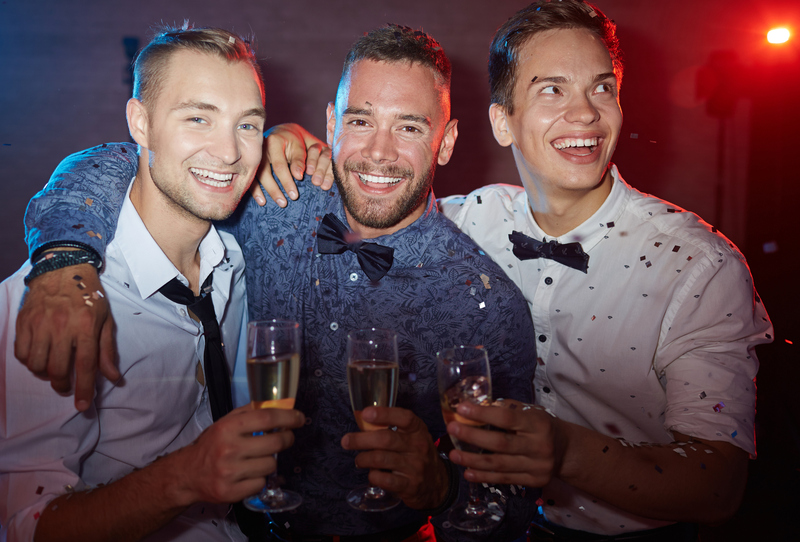 It is the groom’s night, so make sure that everyone in the party knows that they are going to have to pony up a few extra bucks to cover the groom’s night. When you are scheduling the evening, contact Baby Dolls to discuss prices for food, drinks, dances, etc. so that you can get an idea of what the evening will cost and pass that information along to the guys. Always run the guest list by the groom before you send out the invitations. This can help prevent conflicts during the party, and it can also help weed out the folks who might fit like a square peg in a round hole within the group dynamic. Keep your guest list somewhere between five and 10 people as this keeps the conversation flowing and the group dynamic as tight as a dancer’s G-string.